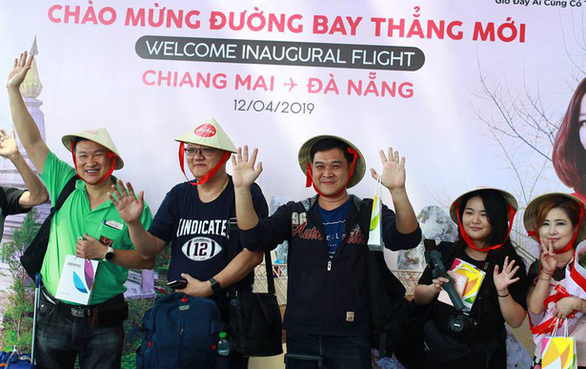 Budget carrier AirAsia on Friday inaugurated a new nonstop service between the central Vietnamese city of Da Nang and Thailand’s tourism hub of Chiang Mai, as no-frills Vietjet announced a direct flight between Ho Chi Minh City and the Indonesian resort island of Bali. The AirAsia flight FD906 carrying 180 passengers took off from the northern Thai province of Chiang Mai and safely landed at the Da Nang International Airport on Friday. The new Chiang Mai – Da Nang route will operate daily with a one hour 45 minutes flight time per leg, increasing services between Thailand and Vietnam to 63 flights a week, according to the Malaysian low-cost airline. AirAsia’s newest route is expected to create more convenience for traveling between the two cities as passengers flying from Thailand are always among the highest number of international visitors to Da Nang, Huynh Thi Huong Lan, deputy director of the municipal tourism promotion center, said at the welcome ceremony for Friday’s inaugural flight from Chiang Mai. As many as 60,000 visitors from Thailand came to Da Nang in the first three months of this year, a 35.7-percent increase from the same period last year. Also on Friday, Vietnamese budget carrier Vietjet announced a nonstop service connecting Ho Chi Minh City and Bali, slated to begin on May 29, while tickets are now available for booking. 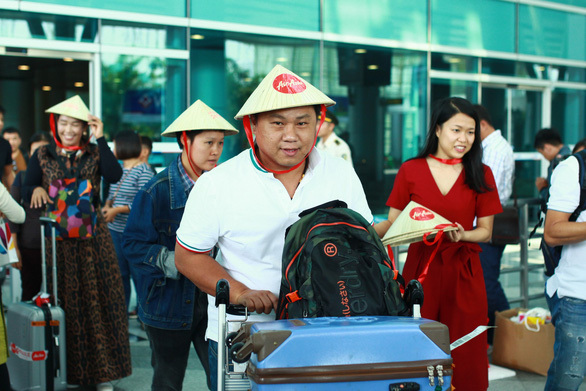 Vietjet said in a press release it is the first and only carrier to offer the service, with one return flight on every Monday, Wednesday, Thursday, Friday, Sunday. The four-hour flight departs from Ho Chi Minh City at 8:05 am and arrives at Bali at 1:05 pm. The return flight takes off from Bali at 2:05 pm and lands in Ho Chi Minh City at 5:05 pm (All in local times). “I believe that the new route will not only create opportunities for people to travel by safe, civilized and modern air transport, but also connect two cities as known as two economic, cultural centers of Vietnam and Indonesia,” Vietjet’s vice president Nguyen Thanh Son said.